BUCILLA-Counted Cross Stitch Kit. This set allows you to make a variety of great bookmarks. This package contains a 14 count aida cloth, cotton embroidery floss, floss separators, needle, trilingual instructions and chart. 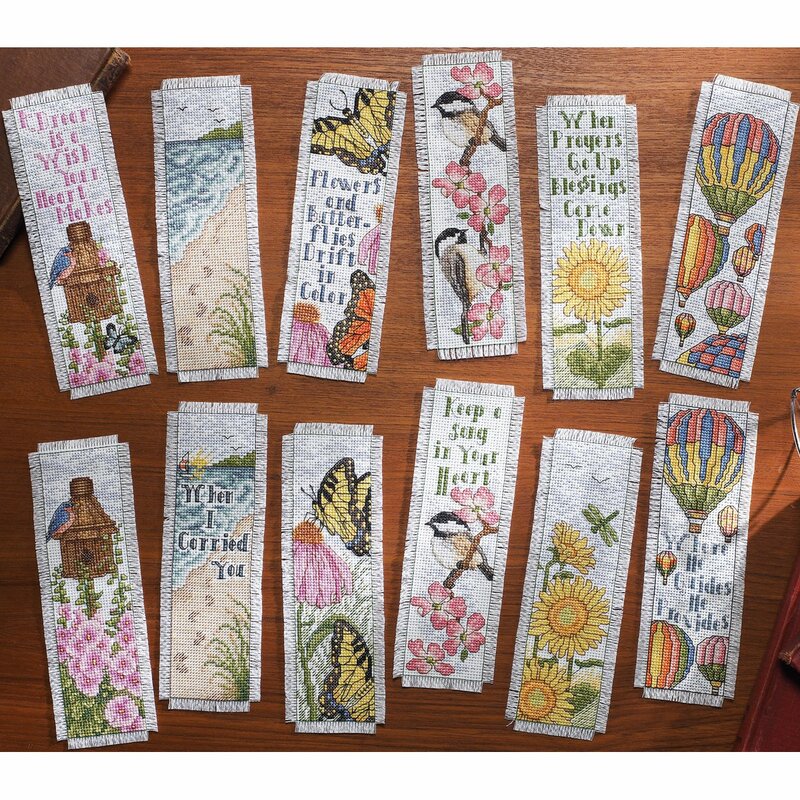 Design size: twelve 2-1/2x8 inch bookmarks. Design: Inspired By Nature. Made in USA.